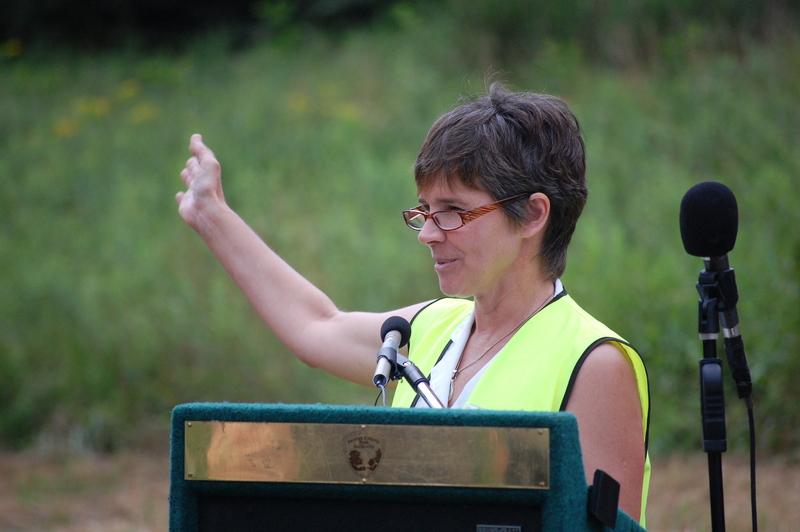 Trail Program Manager Liz Cronauer speaks at the 2010 opening of the Clarks Branch Crossing bridge in Riverbend Park. Liz Cronauer, trail program manager for the Fairfax County Park Authority, recently updated members of Fairfax Trails and Streams (FTAS) on the agency’s Trail Development Strategy. Cronauer visits the group at least once a year to discuss completed trail projects and future connections. FTAS’s primary focus is on trails in Great Falls and McLean, but they’re also interested in seeing the completion of the Potomac Heritage National Scenic Trail (PHNST) in southern Fairfax County, which, according to Cronauer, could be completed within the next decade. “This is a good crowd of people to talk to. They’re all pro trails, and members have lots of ideas,” she said. Flooding from remnants of Tropical Storm Lee ravaged trails throughout the county last September. 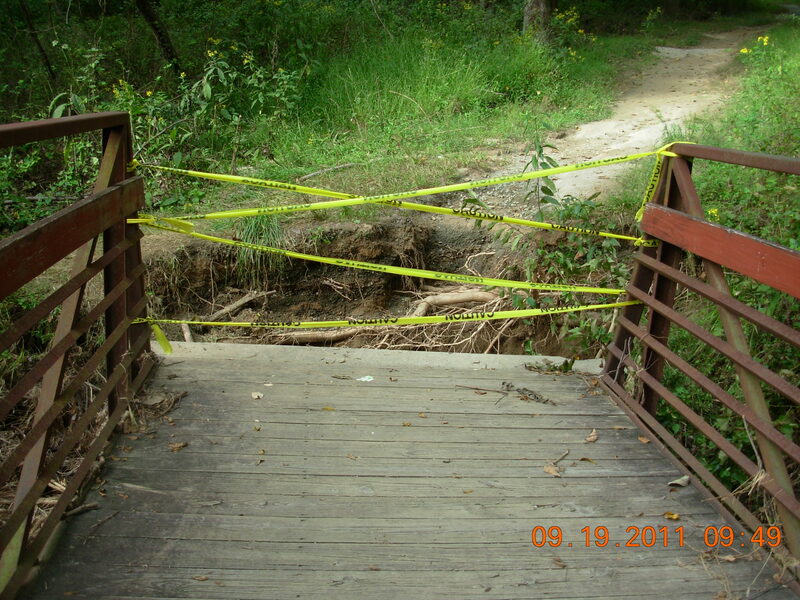 In September 2011, the remnants of Tropical Storm Lee ravaged Fairfax County, and some areas within the Park Authority’s stream valley trail network were washed away. “Significant damage remains,” said Cronauer. She said the damage was so extensive in some places that the short term goal of the Park Operations Division was to simply make the trails functional again rather than restore them to their original condition. In certain places the damage was severe. It will take a little longer to restore functionality in those areas. “Long Branch Stream Valley was hit hard, specifically the bridge. A bridge needs to be replaced and plans are now in place to move that project forward in the next 12 to 18 months. Part of the trail along Difficult Run has also been severely damaged. Parks Ops has done a tremendous amount of work and replaced tons of stone,” Cronauer said. Repairs to trails throughout the county continue. The Cross County Trail connects the Potomac River in the north to the Occoquan River in the south. Although the Park Authority is always trying to add new trails, Cronauer said it’s important to “improve areas that we already have.” She’s always looking for ways to forge new connections to the Cross County Trail (CCT), the 41.5-mile trail which links Great Falls Park in the north to Occoquan Regional Park in the south. 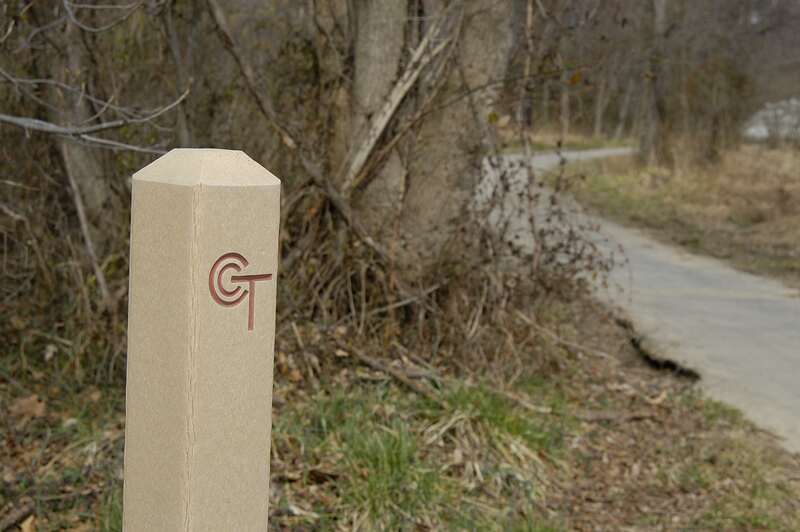 In 2010, the Park Authority completed the Barbara Lane connector trail, which made it easier for people in the eastern Mantua neighborhood to access the CCT. Cronauer said future trail connections include “fixing the footpath within Mount Vernon District Park along Fort Hunt Road.” Once this trail has been improved, people will be able to safely walk and bicycle to Mount Vernon RECenter. There are also plans to improve the South Run Stream Valley trail by paving the section that traces the north side of Lake Mercer and connecting it to South Run RECenter. “Any time you can create ways for people to bicycle to a RECenter is just great,” Cronauer said. The Lake Fairfax trail network continues to grow. 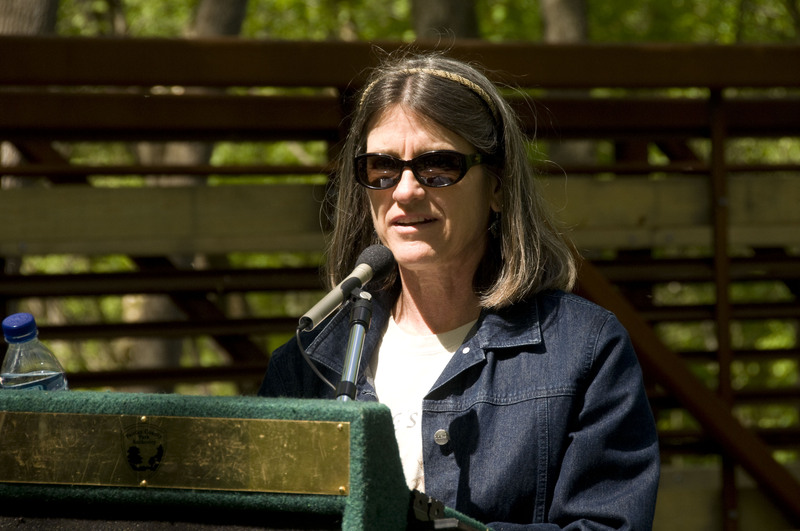 Cronauer was hired as the trails program manager in October 2005, when the Park Authority created the position. She leads a small team of two project managers. As a resident of Prince William County, Cronauer spends a lot of time in majestic Prince William Forest near Quantico, but she has her favorite trails in Fairfax County, too. “I really love the section of the CCT in the Pohick Stream Valley and all the Riverbend Park trails. 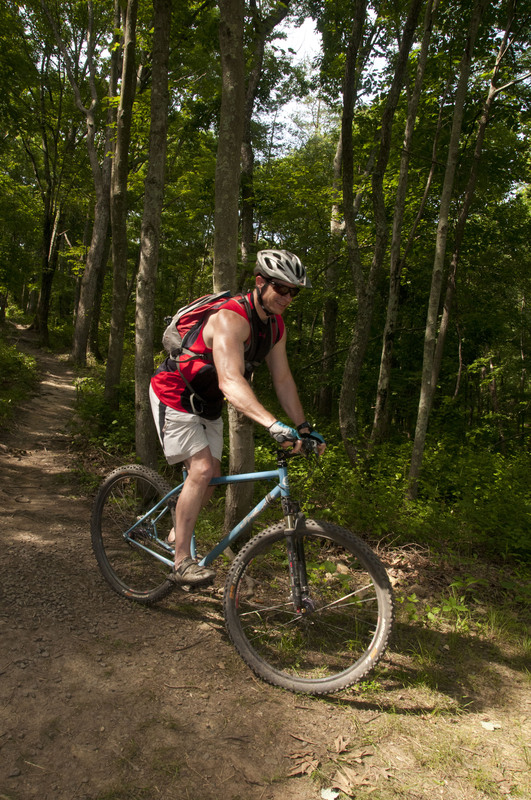 I also like the single track trails we built in Laurel Hill,” she said. This entry was posted in Uncategorized and tagged Cross County Trail, Lake Fairfax Park, Laurel Hill Park, Long Branch Stream Valley, M.O.R.E., Pohick Stream Valley, Potomac Heritage National Scenic Trail, Riverbend Park, South Run RECenter, South Run Stream Valley, Trail Development Strategy, Tropical Storm Lee on March 26, 2012 by Fairfax County Park Authority.